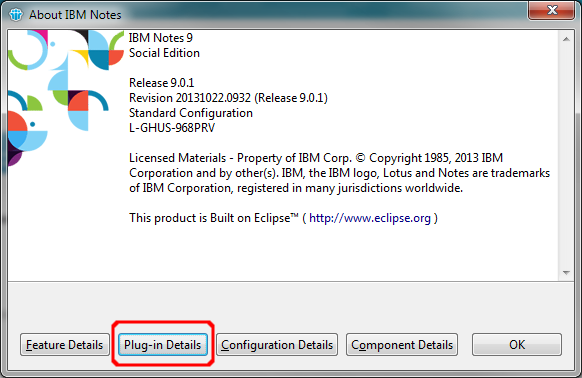 Lazlo Nemes has asked me the question how to determine the version of the Document spy which is installed in the IBM Notes client. This is very easy. 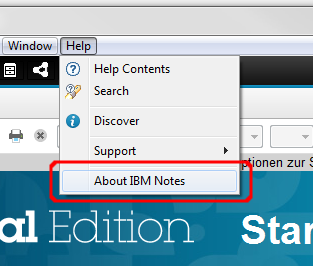 Simply go to Help->About IBM Notes. 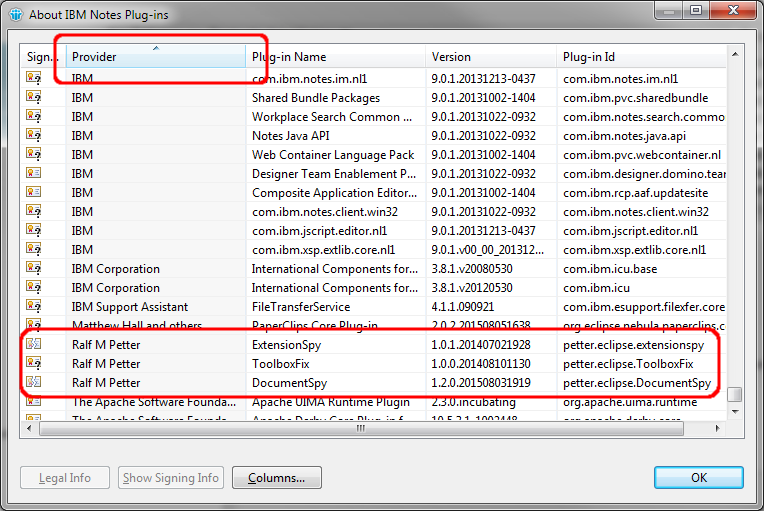 Click Plug-in Details to open the list of all installed plugins. 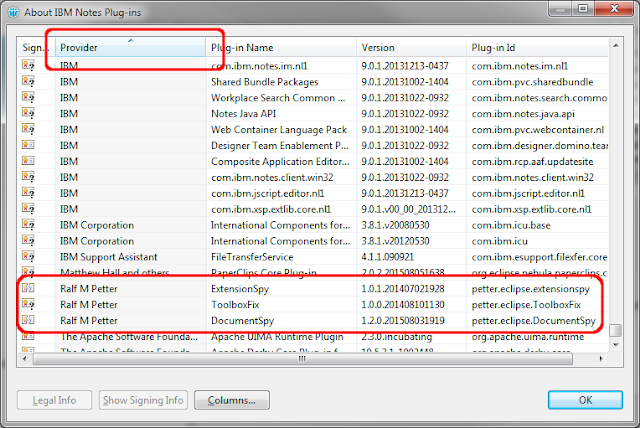 You get an list of all installed plugins with detailed version information's. To find the plugins i have provided sort the list with a click on the provider column header and scroll down to "Ralf M Petter"